The most advanced building technology used at Mercury Towers, the last iconic project signed off by Zaha Hadid before her passing. Using the most advanced building technology has enabled our construction arm to build a floor every 13 days on Mercury Towers, the last iconic project signed off by Zaha Hadid before her passing. The construction work is being undertaken by our team of highly skilled Gozitan stone mason who have been trained in the use of this latest technology. 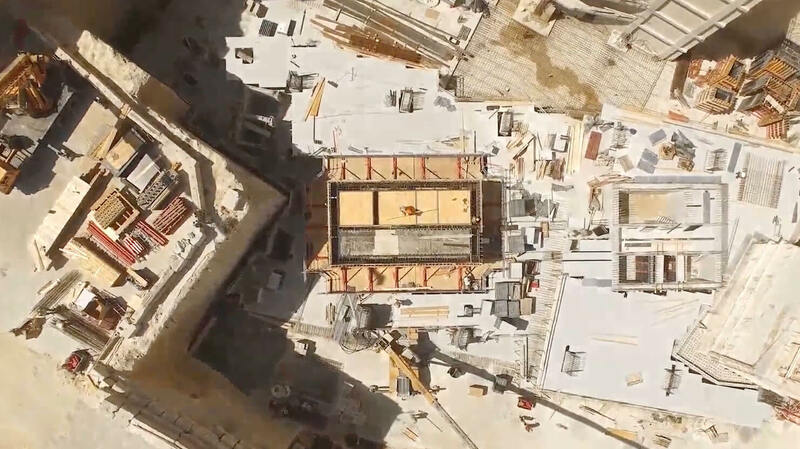 Follow us on our news section and over the next few months you will be able to watch the construction of this iconic tower, which is a bold step forward in Malta’s architecture that takes contemporary urban living to new heights both physically and figuratively. Today, J.Portelli Projects boasts of a highly skilled workforce that takes great pride in their work and in giving its utmost to ensure that every new development the company embarks on is sustainable and a success.